Millie Bobby Brown is one cool cat. At 13, the actress is already an Emmy Award nominee thanks to her role as Eleven in Netflix’s hit series “Stranger Things.” And — as made evident by her appearances at this year’s Golden Globes and MTV Movie and TV Awards, this pint-sized superstar has already mastered red carpet dressing. Millie has become quite the overnight sensation, but she handles everything with effortless grace. 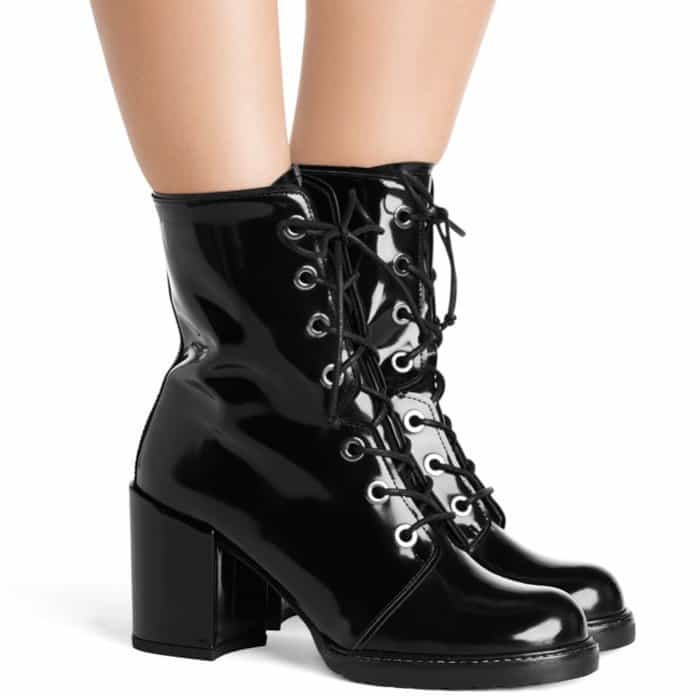 The English actress recently stopped by the Ed Sullivan Theater for a guest stint on “The Late Show with Stephen Colbert,” looking cool and stylish as ever in a two-piece CG suit styled with Stuart Weitzman lace-up boots. Millie Bobby Brown arriving at the Ed Sullivan Theater in New York City on August 10, 2017. We’ve been seeing this power suit trend a lot lately. Zendaya recently went full-on glam in her Vivetta suit, while Hailey Baldwin opted for laid-back chic in Baja East. Victoria Justice chose a less eccentric Betsey Johnson design, while Chloe Sevigny sprinkled her It-girl magic on a Y/Project deconstructed tuxedo. Millie’s Spring 2017 ensemble consisted of a tailored jacket and super short high-waisted shorts styled with a collared floral button-down shirt. 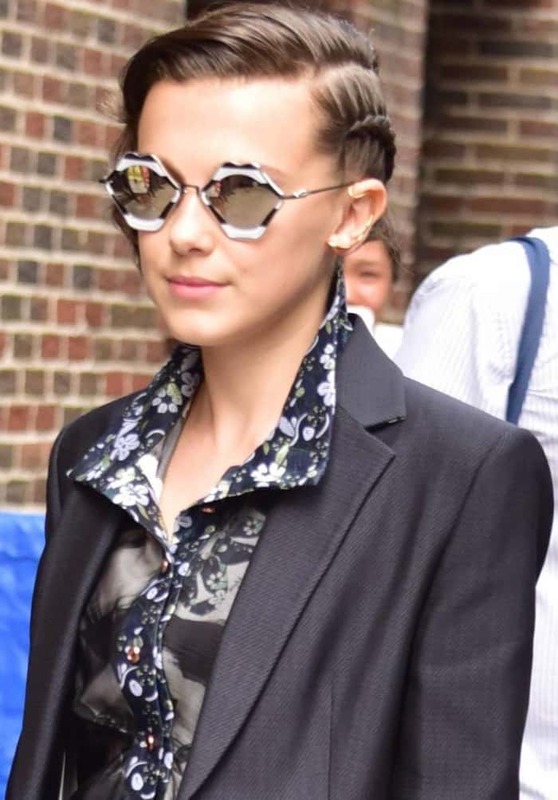 While the shirt was retro chic, Millie’s Chrome Hearts hexagonal sunglasses and side-parted hair with braid detail added some fierce edge to the look — especially when complemented by a pair of black leather lace-up boots from Stuart Weitzman. 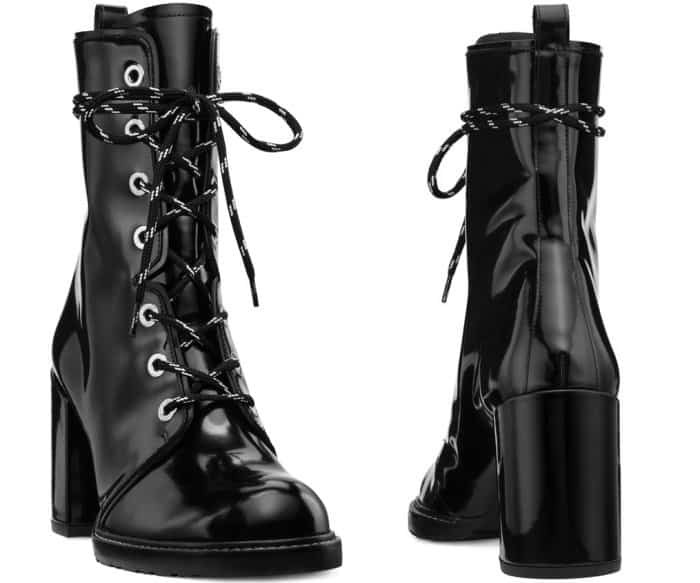 The “Stranger Things” star wore the “Climbing” ankle boots in high-shine black leather from Stuart Weitzman. 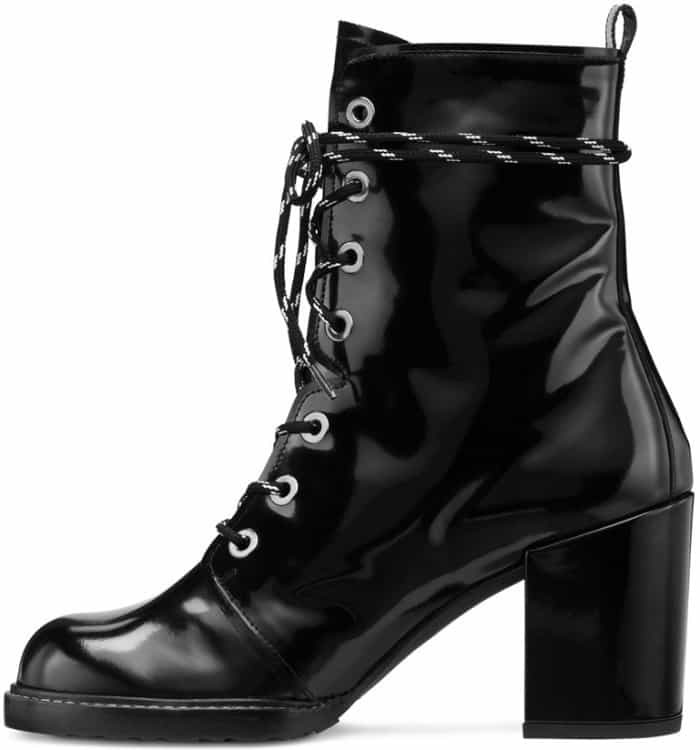 These shoes feature a lace-up design, wrapped block heels, subtle lug soles and contrasting stitch detail. 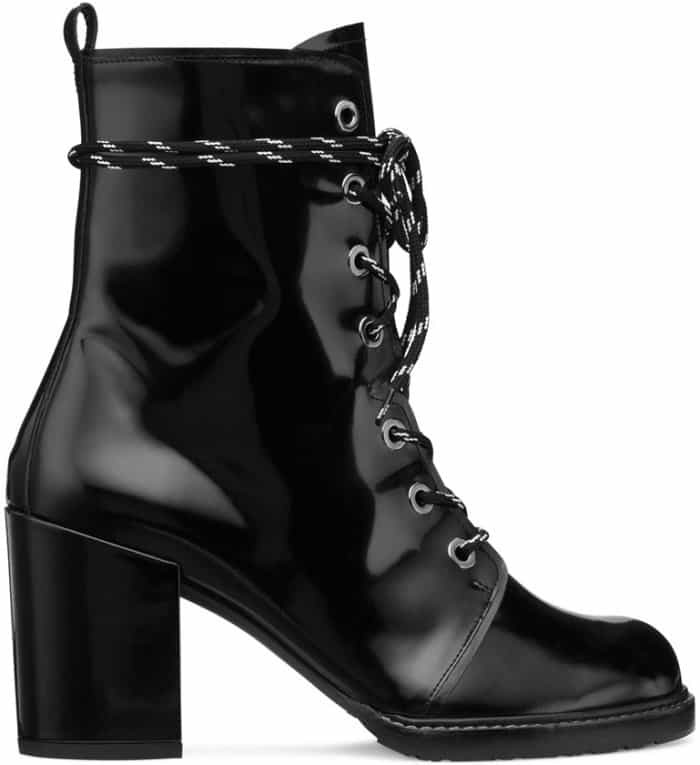 For more footwear options, you can browse through several boot styles at Stuart Weitzman.